IS YOUR LEADERSHIP COSTING YOU? As a business owner, you are a leader. Your team are looking to you every day, to guide them, to inspire them. To lead them. They’re looking to you because you’re not just a leader, you are their leader. And they want to know you have a plan, because their family’s financial stability is depending on it. The higher the quality of your business strategy, the better your plan will be because your goals will be more clearly defined. This is your roadmap – the foundation on which your business will grow. It’s the equivalent of the building plan for a house. A strong, written strategic plan INSPIRES your team to COMMIT to achieving your goals. Let’s take a look at this. In 1979 the Harvard MBA Program conducted a well known survey and discovered that only 3% of graduates had written goals, 13% had goals in their head, and 84% had no goals. What they discovered 10 years later was staggering! The 13% who had goals, (albeit in their head) were earning up to 84% more than those who hadn’t set goals. The 3% who had clearly defined goals were on average earning 10 times more than the other 97%! The reason the higher earning Harvard grads were successful was through self leadership. They had a clear plan to achieve what they were aiming for. But the plan is just a piece of paper without action. Just like building a house, it’s action that creates the building infrastructure (the foundation, walls, roof, plumbing etc) and turns the vision into reality. In terms of leading your team, you also need infrastructure – HR Infrastructure. Done well, it provides the framework, the parameters in which they play. HR Infrastructure houses your company values, your rules of the game, your organisational structure, position descriptions, their responsibilities. Performance reviews measure their results. Good HR Infrastructure provides clarity and certainty and expects accountability and self leadership. It EMPOWERS your team to CONNECT and take responsibility for achieving the company vision and goals. While this infrastructure is valuable, it’s people who turn a house into a home. Their energy and personalities create the environment, the relationships, the atmosphere. The culture. Without strong leadership, culture happens by accident, not by design. The right culture makes success so much easier. Do you have a recruitment system to invite only the right people into your “business home”? If so, you’ll create a culture and a team that feels like a trusted family who will ENGAGE and CO-CREATE your business in ways you could not have imagined. The success of your business is determined by your leadership ability, a clear strategic plan, good people infrastructure and the right people on your team. When all this is working synergistically you will create Team Flow. So what kind of leader are you? Do you have great skills, a strong strategic plan, and the infrastructure and trust-based culture to Inspire, Empower and Engage your team to achieve it? 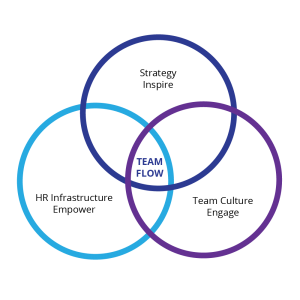 Is your team in flow? If not, just like the underpaid Harvard Grads, you will all be earning less than you deserve. 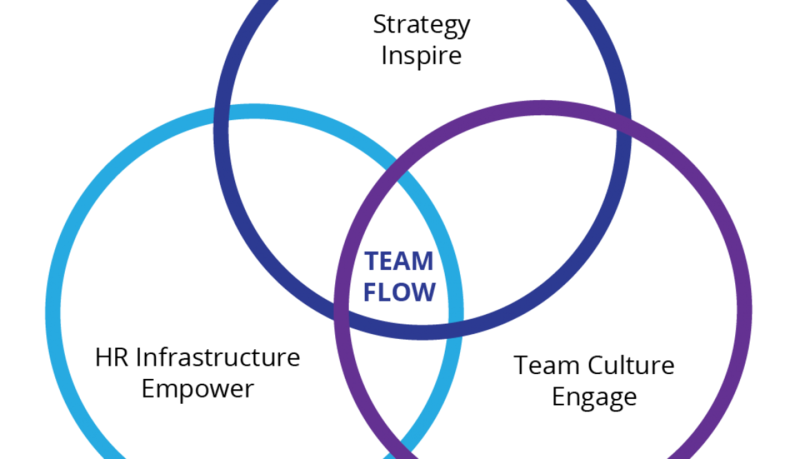 How much more impact could you be making by becoming a leader of a trusted Team in Flow? Thanks for reading – I’m Gaelene Adams Wood, Managing Director and High Performance Team Renovator at Team Fusion International Ltd. We work with High Performing Teams in Award Winning companies, aspiring Award Winning companies, and those who want to be the best in their industry. We do this through Smart Recruitment, Winning Strategy, Team Culture Renovation, Performance Profiling and 1:1 Leadership Coaching.